These are the results from Hastings Magistrates’ Court for March 5 - March 26. Anthony Ripley, 40, of Battle Road, St Leonards, was fined £220, with £216 prosecution costs for dropping a cigarette on the ground outside Sainsburys, in Devonshire Road, Hastings, and leaving it there on August 1 last year. The verdict was proved in his absence. Graham Schofield, 50, of Crowborough Road, Hastings, was fined £220, with £216 prosecution costs for dropping a cigarette on the ground at Havelock Road, Hastings, and leaving it there on July 7 last year. The verdict was proved in his absence. Gavin Stevens, of Manor Road, Hastings, was fined £220, with £216 prosecution costs for dropping a cigarette on the ground at Queens Road, Hastings, and leaving it there on August 7, last year. The verdict was proved in his absence. Shane Warren, of Quebec Road, St Leonards, was fined £220, with £216 prosecution costs for dropping a cigarette on the ground outside Poundstretcher, York Gardens, Hastings, on August 17 last year, and leaving it there. The verdict was proved in his absence. Colin Watson, of Highfield Road, Birmingham, was fined £220, with £216 prosecution costs for dropping a cigarette on the ground in Robertson Street, Hastings, on August 15 last year and leaving it there. The verdict was proved in his absence. Linda Wheeler, of Perth Road, St Leonards, was fined £220, with £216 prosecution costs for dropping a cigarette on the ground in the Bourne, Hastings, on August 9 last year and leaving it there. The verdict was proved in her absence. Max Martin, 39, of Calgary Road, Bexhill, pleaded guilty to driving a Nissan Micra, at Station Approach, Hastings, on November 12 last year, while more than twice over the drink drive limit. He gave a breath alcohol reading of 94 microgrammes. The legal limit is 35 microgrammes. He also pleaded guilty to being in possession of a quantity of cocaine on the same date. The court made a community order with a requirement of 100 hours of unpaid work and banned him from driving for 25 months. He was fined £408 for the drugs offence and ordered to pay £600 in prosecution costs. Danny Barton, 35, of Priory Avenue, Hastings, was found guilty of failing to provide information on the identity of the driver of a Vauxhall vehicle, alleged to have been guilty of an offence. The offence took place on December 6. He was fined £660 and his driving record endorsed with six penalty points. The verdict was proved in his absence. Craig Mushonga, 27, of Amherst Road, Bexhill, pleaded guilty to being in possession of a quantity of heroin. The offence took place at Bexhill on October 8 last year. He was fined £50. Amedeo Seccia, 24, of Pinders Road, Hastings, indicated a plea of guilty to being in possession of a quantity of cannabis. The offence took place at St Leonards on March 5. He was fined £80. 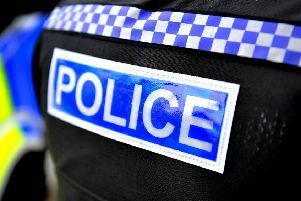 Thomas Harris, 25, of The Green, St Leonards, pleaded guilty to being in breach of a non-molestation order by speaking to someone when prohibited from doing so by the order. The offence took place at Hastings on October 4 last year. He was given a one year conditional discharge. Brian Wright, 45, of Thomas Brassey Close, St Leonards, pleaded guilty to two charges of assaulting a woman by beating. The offences took place at St Leonards on February 10. He also pleaded guilty to being in possession of a quantity of cannabis resin on the same date. The court made a community order with a requirement of 70 hours unpaid work. He was fined £200 for the drugs offence.